In this humorous book on the former East German state (GDR), the author has his tongue placed firmly in his cheek. He retells Proust’s famous Madeleine moment in detail, only to depict how an old bottle of Eastern Bloc red wine caused him to spew it out in an arc. This book has you wondering whether the author is inventing something or telling an absurd historical fact. Far more than one may imagine is actually based on fact, the author’s own experiences serving as the starting point. This book is full of absurd ideas while still portraying everyday life. This is not the world of artists being surveilled, oppressed, and blackmailed all day long as in movies like “The Lives of Others”. The charm of the book is to portray everyday life and ordinary people. Even a small time crook involved in illegal gambling. The protagonist receives an invitation to The Society of Unknown Underground German Authors. He isn’t a writer so he thinks they have the wrong person, or it’s some kind of joke. It turns out the East German secret police, the Stasi, intercepted his adolescent love poems to Liane, a girl in the West. Fraternizing with the enemy by letter was obviously highly suspicious. “I Suggest We Kiss” by Rayk Wieland is in many ways a modern picaresque novel, known in German as a Schelmenroman. A genre name, derived from the Spanish word picaro (German: Schelm), meaning rogue or rascal, which began in the 16th Century. From what I can tell, German literature was early to pick up the genre from Spain. This might explain why the novel has been translated and published in Spain and Argentina. Parody and biting political satire are firmly rooted in German speaking culture. Here, even the Kafkaesque use of W. is both playful and authentic since the Stasi reports refer to him only via “der/des W.”. The book may have you wondering why you are smiling so often in such a serious context. It’s not laugh-out-loud humor very often. It’s mainly subtle, absurd humor that creeps up on you as you realise the underlying references. Some of the most hilarious dark humour is to be found in the novel’s appendix. This contains all W.’s poems to Liane which were intercepted by the Stasi. Each poem is commented by the officer scrutinizing every word for signs of enemy activity. Utterly banal things are totally misinterpreted by the paranoid police state. And not only kisses, my Love. Ones which, you know, lie farther south**. Poetry I only write. That I may get you. Making light of a dictatorship may not be to everyone’s liking, but the author has a Stasi file himself and people deal with difficult times in different ways. In bad times, we often say “One day we’ll laugh about this.” Rayk Wieland does just that in this novel. Amelie Fried knows nothing of her family’s dark past because her father would never speak of it. In 2004, her husband takes part in the New York marathon. On the phone, after the run, his mind seems to be elsewhere. He asks whether she knows who Max Fried was, but she’s never heard of him. He tells her that Amelie’s grandfather and Max had the same parents, so Max was a great uncle of hers. What’s this all about? She wants to know. Her husband had been to view the memorial book of Jewish Holocaust victims in New York, he explained. “You had to go to New York for that?” she chides, knowing the book had been compiled by archivists back home in Munich. Then he tells her…Max and his wife were both killed in a Nazi death camp. It’s a huge shock since none of her family had ever mentioned any of this. She begins researching her family history in detail. 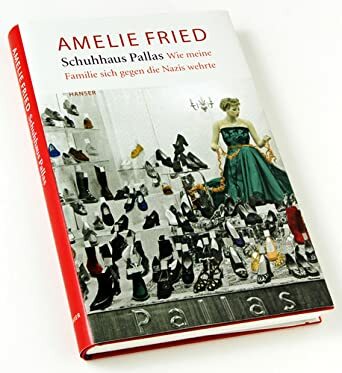 “The Pallas Shoe Store” of the title, belonged to her grandfather. Fried explains the family shoe business and its place in the town of Ulm. There’s a second business though, her father’s newspaper. This very local nature, the detailed lives of two prominent citizens, her father and grandfather, in a smallish town is what sets this story apart. The book literally “brings the story home”. The bad guys of the town, use their newly gained power to personal advantage and against people they don’t like. The Ulm chief of police, appears to have a personal grudge. What we learn, is all the little intricacies of various relationships between different people, friends and foe. What is remarkable, is how many years her father and grandfather manage to stay free and afloat, despite numerous conflicts with the local chief of police. Fried also traces some relatives who fled via South America. I’ll say no more to avoid spoilers. This is not a novel, or a classic “Familienchronik”. It’s all fact, yet different to a report, because the story is so personal. Amelie Fried uses a journalistic style to describe the results of her investigations. This factual, sometimes distanced approach, is the book’s strength though. It makes the grave, emotional moments, of which there are many, all the more powerful. The book contains photos and document facsimiles. I listened to the audiobook read by Amelie Fried herself, which creates more of a storytelling feel. 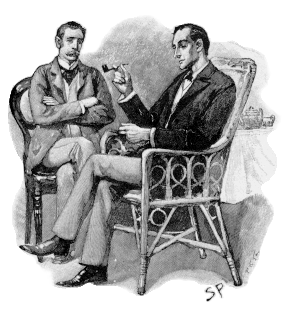 Sherlock Holmes and his companion Dr. John Watson are two of the most famous and long-lasting characters in fiction. They possibly have the largest number of on-screen interpretations of any literary characters…except for possibly Dracula? This blog series is a look at some of the many interpretations of Holmes and Watson in movies and TV series. From the recent “Sherlock” with Benedict Cumberbatch and Martin Freeman, back to the classic Basil Rathbone and Nigel Bruce movie series of the 1940s. 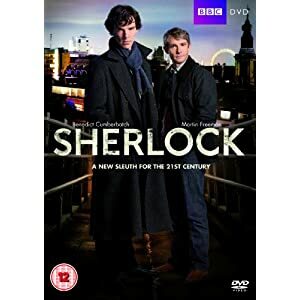 There are far too many versions to consider them all, but I thought it might be fun to look at the varied ways these classic literary characters created by Sir Arthur Conan Doyle have been brought to the screen over the years. Not all have stuck to the original stories. In “The Private Life of Sherlock Holmes”, Billy Wilder poked some fun at the Holmes myth. Another movie has Holmes meet Sigmund Freud in Vienna, and parallels are drawn between the two men. Even if one was fictional and the other real. In “Without a Clue”, Michael Caine plays a somewhat dull-witted Holmes who is all too full of himself, while Watson, played by Ben Kingsley is the real deductive genius in the background. Amongst TV adaptations, Jeremy Brett’s Holmes is one of the most noteworthy and arguably the one most loyal to the literary creation (Btw, I spotted a very young Jude Law in one of the Brett episodes. He can only be about 16-18 yrs old?). Let’s dive in at the present day versions.